Modern oil diffusers are useful devices that are powered by electricity and have multiple functions available. 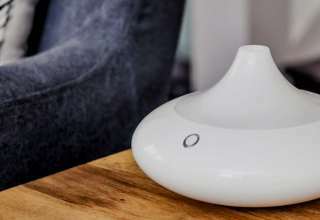 Such a device can work as a humidifier or a simple aromatherapy accessory. Essential oil diffusers come in various sizes and shapes and have different capacities. They can be used in therapeutic, medicinal or germ-killing activities and they can be placed anywhere, thanks to their stylish designs. 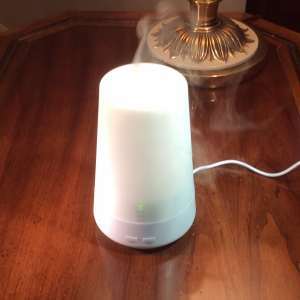 An oil diffuser can be found in a spa, a psychologist’s office, a massage salon or a bedroom. 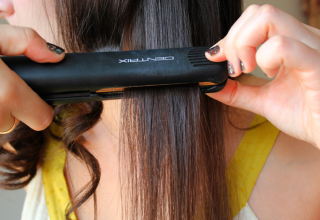 No matter where you decide to use it, it will definitely make you feel more relaxed and more comfortable. What to look for in an essential oil diffuser? There are many things that can influence your decision when the time comes to buy an essential oil diffuser. The design, the price, the capacity or the power are the most frequent aspects that buyers analyze. However, there are other important aspects that you should take into consideration. For example, the diffuser’s material is important. Some diffusers are made of plastic, wood and metal, while others are made of ceramic or glass. Depending on the room’s design and how much durability matters to you, you should think twice before choosing an oil diffuser. The area coverage of an oil diffuser is essential. If you buy one that has 300 square feet coverage for a small room, the essence might be too strong for your taste. Make sure that you check the product specifications out. The airflow is also important. Some products on the market allow you to control the way the air flows and the density of the essential oil. If you or some of your family members have smell sensitivity, you want to be able to control it. It is also vital to choose a product that has fast oil changing system, without having to turn it off completely, especially if you love changing oil fragrances. The existence of a timer is highly important, too. You don’t want the unit to overheat or run when you’re not present, which is why it is useful to have a timer to rely on. This way, you will be able to set a desired time and no essential oil or electricity will go to waste. 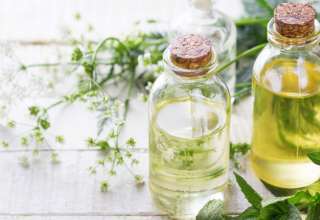 When you are looking to buy an essential oil diffuser, you might not think that it is important to find one that is easy to clean, although you should give it some thought. You should be able to clean an oil diffuser with nothing but water and a cleaning solution. Essential oil diffusers are extremely popular and easy to find. It is easy to find a high-quality product when you know what you’re looking for. If you don’t, there are plenty of ways to learn what is the diffuser that suits your needs best. In order to make the buying process easier for you, we reviewed some of the best-selling products available right now. This product comes in 4 colors, has a nice, simple and elegant design and a single button in the front. It can cover 250 square feet and requires water and essential oils to function properly. It is powered by electricity and must be plugged into a regular outlet. It works up to 7 hours continuously. This essential oil diffuser features night lights and can also be used as a mist humidifier. It weighs 1.2 pounds and it is suitable for any environment. It is also affordable and has 2-year warranty coverage. This essential oil diffuser’s design is gorgeous. It comes in white and light blue and has a simple, grey line at the top that turns it into a stylish, minimalistic device. Its colors change gradually to create a relaxing atmosphere in the room. It makes very little noise and it can run for up to 10 hours. Its tank has 120 ml capacity and it can cover 250 square feet. It shuts-off automatically when desired. Its price ranges from $50 to $120. This product has a nicely designed shape and wooden color and it is one of the largest on the market. It has a capacity of 350 ml and can cover an area of approximately 450 square feet. It can shut down automatically and it is safe to use with citrus oils. It features a color-changing LED that can be turned off during the night or whenever it is not required. It has different controls for on/off and the atomizer, which means that it is easier to use. It costs about $60 and is covered by 1-year warranty. 300 square feet. It can run for up to 10 hours and it uses minimum energy. This device looks a lot like a rock, just like its name suggests. It has a beautiful design that imitates river rocks and it comes in black or white. It features a color-changing LED band and has 3 light modes. It works up to 5 hours, has a tank 0f 70 ml and it can cover a 250 square feet area. It can shut-off automatically and it is safe to use with citrus oils. The best thing about this product is that it is affordable and classy. For only $30, buyers get a modern essential oil diffuser that lasts. These are some of the best-selling diffusers for essential oils that we liked and enjoyed.